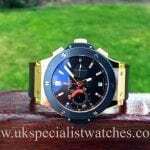 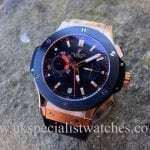 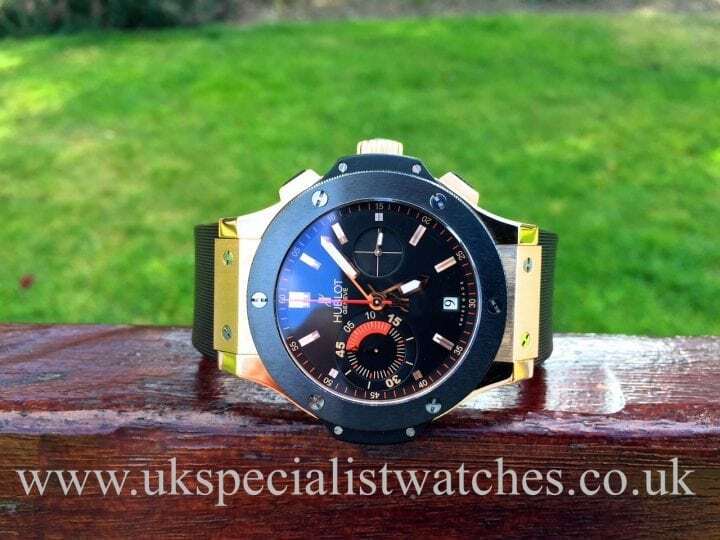 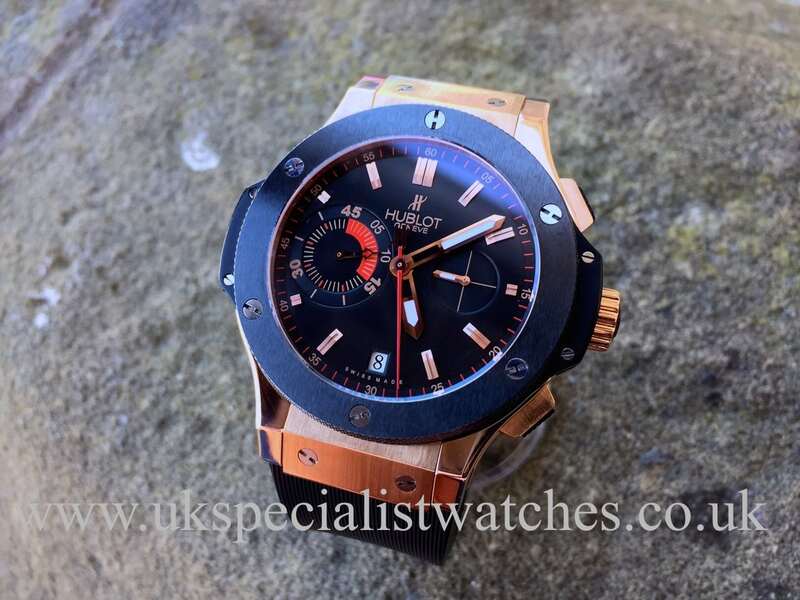 Hublot Big Bang Euro 2008 18ct Rose Gold with black ceramic bezel. 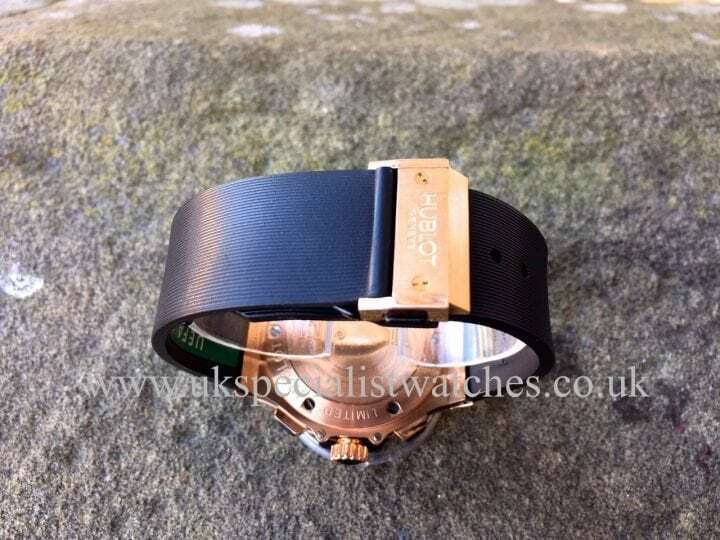 This piece was limited edition of 500 pieces, polished and brushed 18ct rose gold 44mm case, black rubber strap with rose gold & PVD clasp. 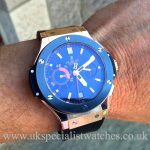 Black dial with luminous Rose gold hands and hour markers, chronograph HUB 45 self-winding automatic movement, sapphire crystal glass & water-resistant to 100 mts. 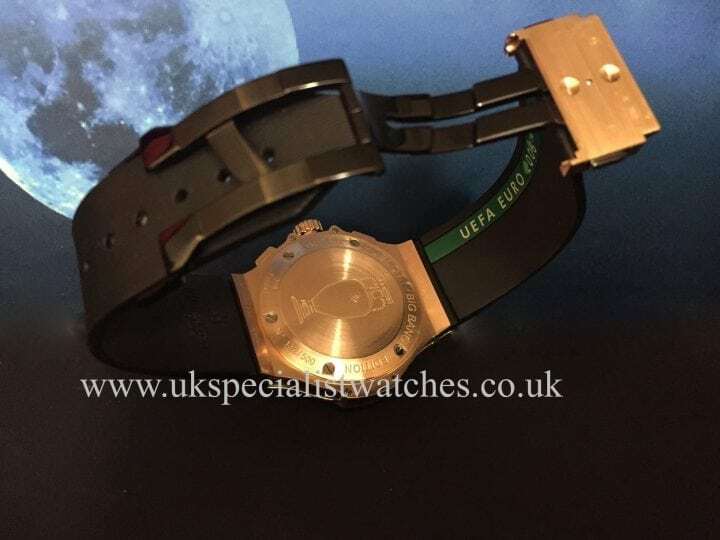 The 45-minute counter is specially designed for the referee’s timing with the red-line segment allowing for the possibility of extra-time. 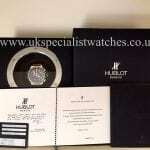 This limited piece was the official watch of Euro 2008. 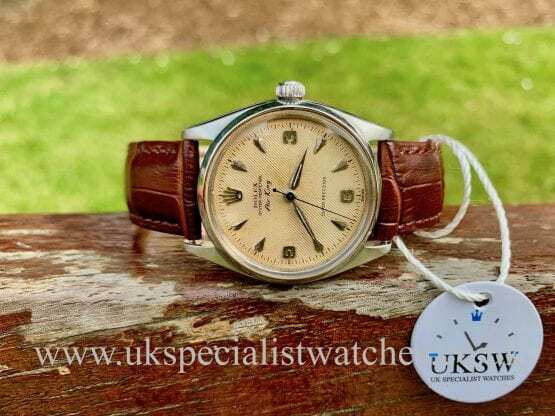 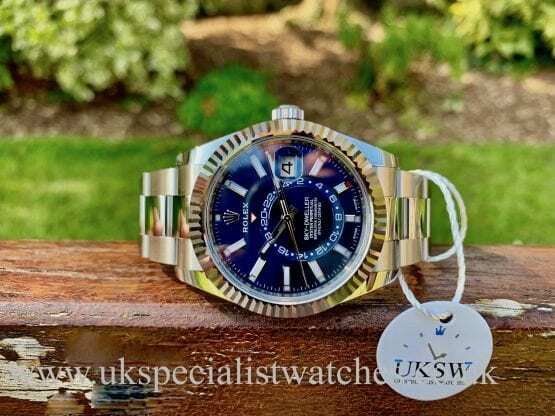 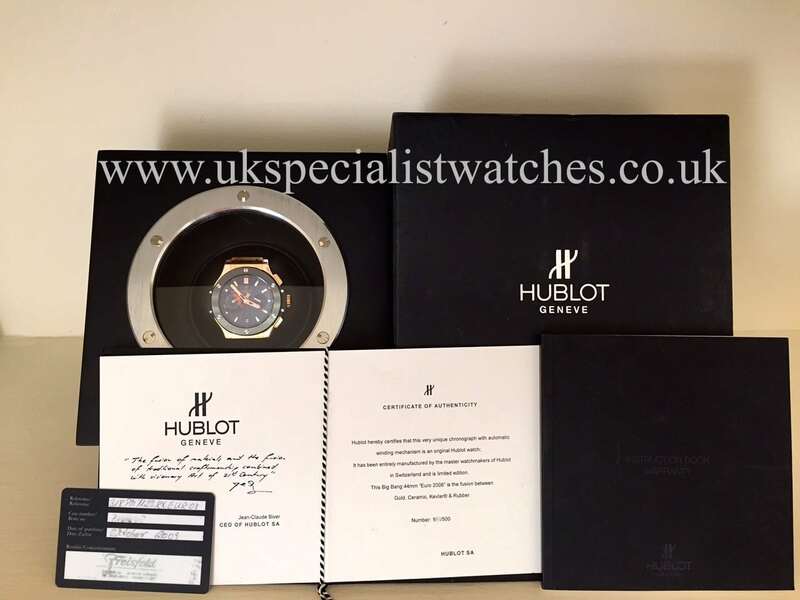 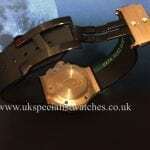 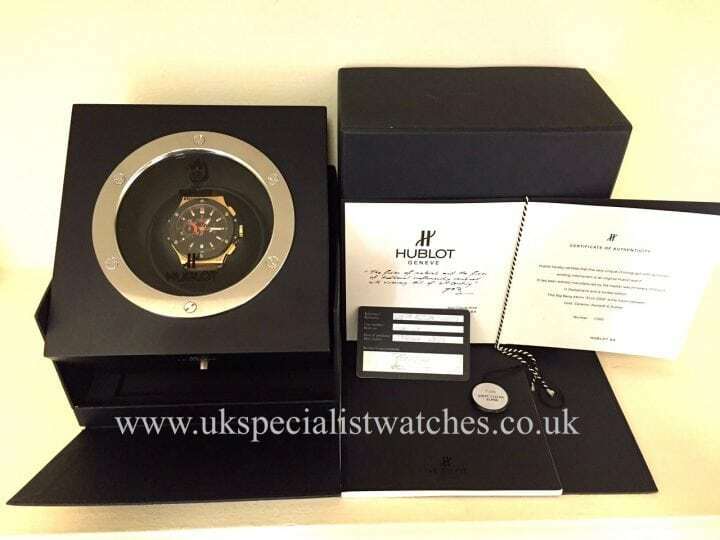 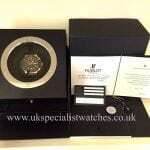 Watch comes complete with all box & papers, stamped warranty card October 2009 also numbered limited edition certificate signed by Hublot’s CEO “Jean Claude Biver”.